Most parents are used to chaotic lifestyles filled with work, school events for the kids, play dates, household chores and errands. 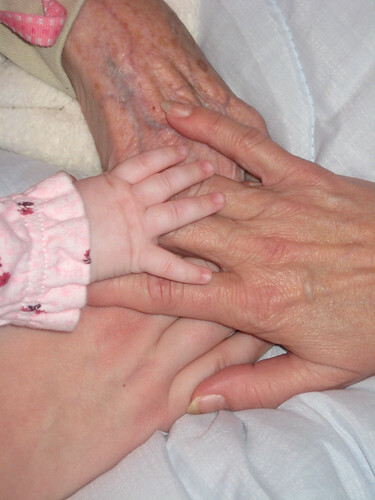 However, what do you do when something else is thrown into the mix like caring for an aging parent? Taking care of your parents and spending time with them should be seen as a privilege and not an obstacle. It just takes a bit of organization and teamwork. Here are some helpful tips to keep balance in your life. Put together a primary calendar to keep track of both your children’s and parent’s appointments. This should include activities, play dates, ordering prescription medication and physician’s visits. Be sure to update your calendar daily and set your alarm for specific reminders that are extremely important like taking medicine. Your parents may not comprehend everything a physician tells them during their medical appointment. Schedule time to go to the doctor together or have them sign a waiver that allows the physician to give you access to their medical records and appropriate treatment options. An attorney can also draw up the necessary paperwork that allows you to make the proper medical decisions for them in case of an emergency. If your parents live far from you, you may want to speak to them about finding a place close to you. This will make it easier to get them to and from their appointments and check on them if they need assistance of any kind. It’s also important to try and spend as much quality time together as possible, and it can keep them from feeling lonely and bored. Try to schedule quality family time together whether you’re taking your children to baseball practice, sitting at the physician’s office with your parents or going out on a date with your spouse. Each of the parties involved needs to feel loved and important in your life. This includes taking a few moments for you and doing something special like a massage, eating a bowl of ice cream or going for a run. There are a number of wonderful places your parents can go to receive specialized care if everything becomes too much for you to handle alone. According to our advisor at a respected community for assisted living in Atlanta GA, seniors that live in adult communities can enjoy a carefree, independent lifestyle while taking advantages of services that make it easy for them to get around to places like banks, restaurants, grocery stores and physician appointments. Also, since they will be living near other seniors, they will be able to take part in a lot of fun social activities and you will be able to relax knowing that they are safe and happy. Encourage your spouse, children and other family members to pitch in. Whether it’s doing laundry, preparing a meal, helping out with errands or spending time with your parents, your entire family needs to understand that everyone is in this together, and they need to do their share. Being the ultimate caregiver in your family for your spouse, children and parents can be a difficult feat to maneuver. That’s why it’s important to be aware of your limitations and seek help from family and friends or professionals, Take some time out for yourself to renew your mind, body, and spirit. This break will actually help your family, and when you return feeling refreshed, you can all enjoy some quality time together. Shelby Warden researches aging issues and is a contributing author for Dogwood Forest a community that provides assisted living in Atlanta GA for seniors. Dogwood Forest partners with families to ensure the best care for their loved ones with programs that have been clinically proven to produce positive outcomes in the health and lives of seniors. Their community is known throughout Atlanta and beyond for its outstanding environment. awesome words, as parents care us when we are small, so now its our duty to care our parents. when they grow old. old people feel alone, by following up given tips we can remove there loneliness, & these suggestions or advices are also helpful in making strong, healhy & happy family. Thank you Dawn. Great points, our families truly deserve our best efforts.